The following post was originally posted on Lib Dem Voice on Thursday 5th February which was Time To Talk day, a day encouraging everyone to talk about their personal experiences with Mental Health issues. The Lib Dems have been running a long running campaign to break the stigma around Mental Health and several Lib Dems chose to share their experiences on the day. The original post can be found on Lib Dem Voice by clicking here. This is my personal experience with Mental Health. Over the last 15 years, my wife and I have supported family members through 10 rounds of cancer. My mother had ovarian cancer, with relapses and recurrences 4 times over 8 years before it took her. My father had lung cancer twice before it took him. My mother-in-law had pancreatic cancer and passed away in under a year. A month before she passed away, her boyfriend started complaining of headaches and weeks afterwards was diagnosed with a brain tumor and passed away within 6 months. My wife’s grandfather was treated for a stomach tumor and is now doing really well, celebrating his 85th birthday tomorrow. And 18 months ago, my wife was diagnosed with breast cancer, but fortunately has had an amazing response to the wonder drug Herceptin and has been given the all clear and is steadily getting back to full strength. During those 15 years, my wife and I have attended at least 15 family funerals, including two pets, losing family to dementia, heart attacks and suicide as well as cancer. When our 14 year old cat had to be put to sleep last year, inevitably she had a tumor as well. We also had two failed IVF’s, 2 house purchases fall through, lost touch with friends, fell in and out with family and had a host of other stresses. Not surprisingly with all that going on, I ended up bottling my emotions to cope with year after year of additional heartache. That ended up bubbling over, with an incredibly short temper, fatigue and finding it hard to concentrate and get things done. 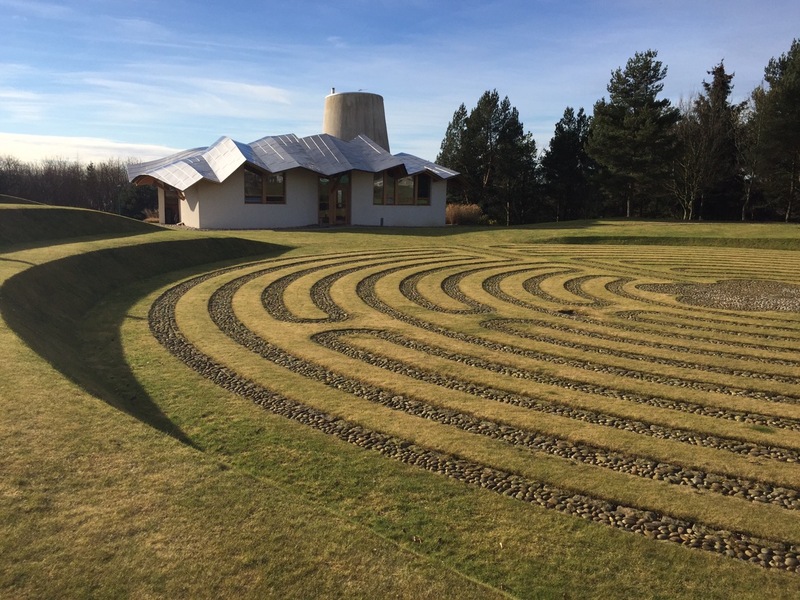 I started having counseling at the fantastic Maggie’s Centre in Dundee, which provides a range of support to those going through cancer and their family and friends. During those sessions, I slowly unbottled all those emotions, coming to terms with the grief of losing my parents, having lost touch with close friends, arguments with family, the failure of my software business and the various other side effects of having so many family members suffer from cancer. There came a point last year when all the stress had built up so much, I had just bought a new car, and I scraped the side of it entering a car park. I had a complete meltdown, and could not stop crying for ages. My wife drove to where I was and helped me get back on my feet. I collected my things from work and headed home. The next day I was signed off work with stress. The recovery has been slow since then, a roller coaster of exhaustion and struggling to get out of bed, uncontrolled crying, and short temper. I have found it incredibly tiring and stressful to be around people that I do not know well. I feel incredibly guilty that at times I do not have the energy or patience to play with my two wonderful children. A cancer scare for another family member plunged me back into my most stressful state and letting out the bottled up emotions has sometimes plunged me into despair. Meanwhile, my wife has had to pick up the pieces around me, not knowing from one day to the next whether I’ll have energy to get things done, or down in the dumps, or short tempered and irritable. Thanks to the counseling at Maggie’s, the Stress Management course they offer and their Creative Writing sessions, I am steadily getting back on my feet. I’ve been advised to do more exercise to get my endorphins going, but that can be challenging, with negative thoughts flooding through my head, so canvassing and delivering for the Lib Dems has been excellent, as you don’t have time to think as you go from door to door. I had seen a lot of fellow Liberal Democrats focus on Mental Health as their main campaign. It was never something that I particularly understood until I’ve experienced it directly myself. I have found it incredibly emotional to see my party make it such a huge priority of it, whilst I was going through it myself. I can admit myself to wondering why colleagues were being signed off with stress when I thought they had nothing to be stressed about. Try going through my cancer hell, I used to think!! I now fully appreciate how overwhelming mental health issues are. I sometimes wonder whether it is helpful calling it Mental illness, rather than just illness, as it creates the impression that it is just in the mind, and that simply will power, positive thinking and a change of attitude can resolve it. Knowing that mental health issues are a combination of physiological and sometimes uncontrollable mental impacts makes a profound difference to how we approach tackling them. Maggie’s has been a revelation and for me, I feel that it has saved my life and that I would not have go through it without the services they offer. I believe that they should act as a model for best practice mental health provision in the future. Dedicated, nurturing, sympathetic buildings, away from hospitals and their clinical coldness provide a much better space to provide the appropriate treatments. The counseling they provide is open ended, available for as long as is needed. I cannot stress enough how important this is. At our Journaling session today, we happened to share and discuss our personal experiences with the mental health impacts of cancer. I pointed out that it was Time To Talk day and came home and decided to write this as my journal entry for the day.